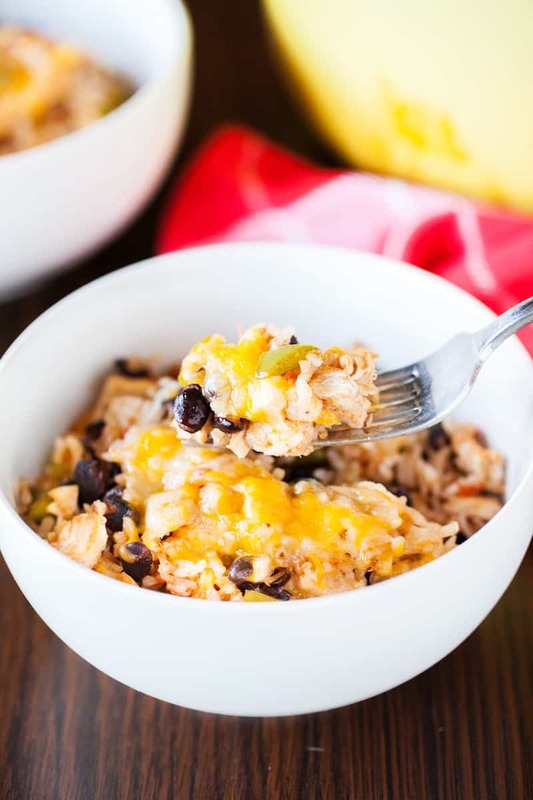 Are you looking for a low calorie, cauliflower rice recipe that is good for you? 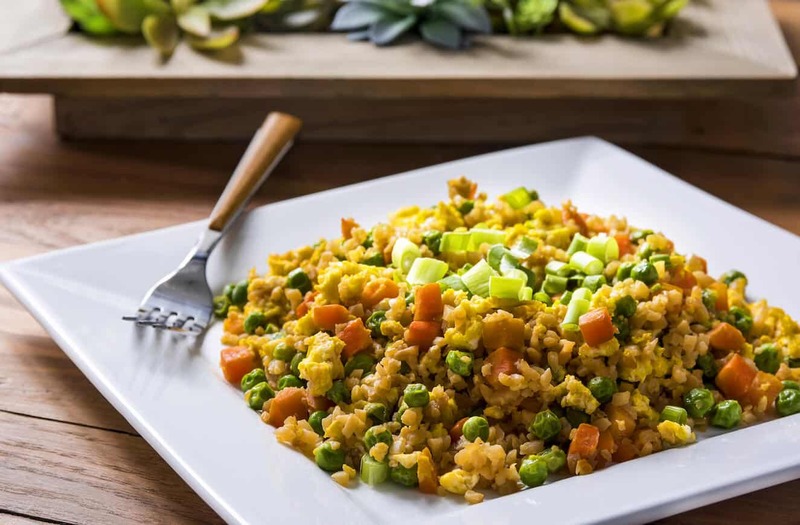 Try this cauliflower fried rice – loaded with veggies and flavor. No one will believe this isn’t real rice! Scroll down to get a video of this recipe in process. You’ll see how easy it is. I totally get it. You’ve heard this “I have a cauliflower rice recipe that takes 10 minutes” lingo before. 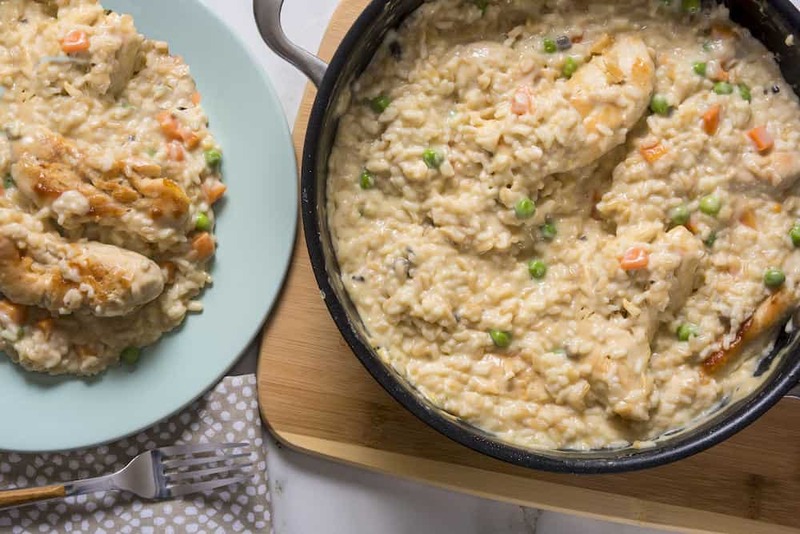 So now you might be convinced you can’t make a delicious and healthy dish featuring cauli-rice in a short amount of time and that it’s going to be a huge effort to try it. I’d love to change your mind! This cauliflower fried rice recipe has become one of my go-to dinner dishes! AND – it can absolutely be made in less than 10-minutes! I usually make it in just over 5 when I already have the cauliflower rice ready. It’s pretty awesome. I absolutely love cauliflower rice as a substitute for regular rice. It doesn’t make me feel as full and bloated as regular white or even brown rice. It’s really easy to make in the blender, and you can even purchase it frozen in a lot of grocery stores. My dad is a very picky easter, and a rice “traditionalist.” But even he doesn’t mind cauliflower as a rice substitute in various dishes! 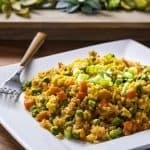 He likes this cauliflower fried rice, so there’s a very good chance any picky family members are going to love it too. Compared to regular rice, absolutely! It has about 10 – 20% of the calories of white/brown rice and a lot less carbohydrates. Cauli-rice is loaded with nutrients including fiber, vitamins C, K and B6, and potassium. This cauliflower fried rice recipe is a delicious way to get your veggies. This “fried” rice is cooked on a stovetop with coconut oil. So it’s not fried in the tradition sense – keeping the dish low in calories. Coconut oil has many benefits and I love using it for cooking. If I make it myself, I like to make sure the cauliflower head is very firm and cold (if not slightly frozen) before placing it in a blender or food processor. I find that the colder the cauliflower is, the better it chops into little pieces. If it’s room temperature or not completely firm, the rice ends up being more mushy, which I don’t like at all. I like the “rice” grains to be firm! Sometimes I add chicken (which admittedly will take this cauliflower fried rice a little over 10 minutes to make) but not always. You can add pork, beef, or shrimp as well. This rice is good on its own or as a base to another dish. You don’t need to use peas and carrots if you don’t like them – you can use any frozen (or fresh) vegetables that you like: broccoli, green beans, peppers, and more. Frozen veggies are nice because you can have them on hand and ready to go for when you just want to make something quickly. Last possible addition to this cauliflower fried rice: garlic. The only reason I didn’t include it is because chopping garlic adds a bit to the prep time, and I wanted to keep this fried rice quick. But if you have minced garlic on hand already or even garlic powder, that would be tasty. I can never get enough garlic! Whatever I do, I always enjoy this recipe. 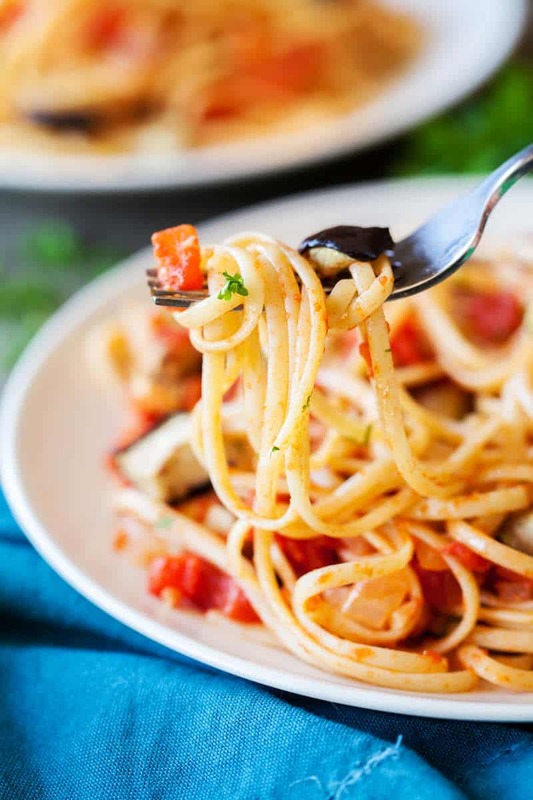 It’s tasty, good for you, and easy to make. Here it is below. Cut up your head of cauliflower and place florets in a blender. Pulse until cauliflower is a fine texture – approximately the size of standard grains of rice. Heat coconut oil over medium-high heat. Add cauliflower rice to your pan; add about 1 cup of the frozen vegetables. Add the soy sauce. Cook for about five minutes, or until most of the moisture has cooked off. Make a space in the center of your rice and beat three eggs in a bowl. Add eggs to the center and cook. Stir the eggs into the rice until fully combined. Serve – add green onions as garnish if you like! 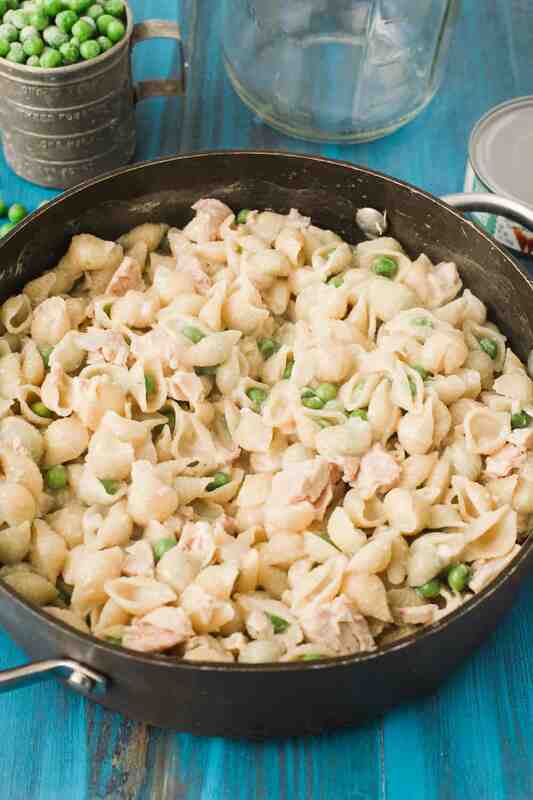 This is an awesome Weight Watchers lunch or dinner. If you follow the Freestyle program (I do), then this is 2 points per serving if you reduce the coconut oil to 1/2 T.
It’s ZERO points per serving if you use fat free cooking spray! And the cool part is you can add 99% fat free chicken breast for no additional points. So this is one of my staple recipes. 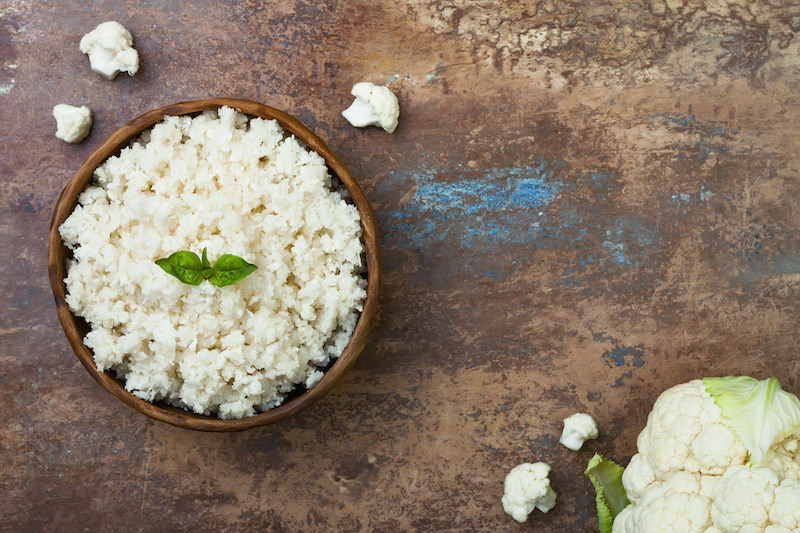 Are you looking for a low calorie, cauliflower rice recipe that is good for you? 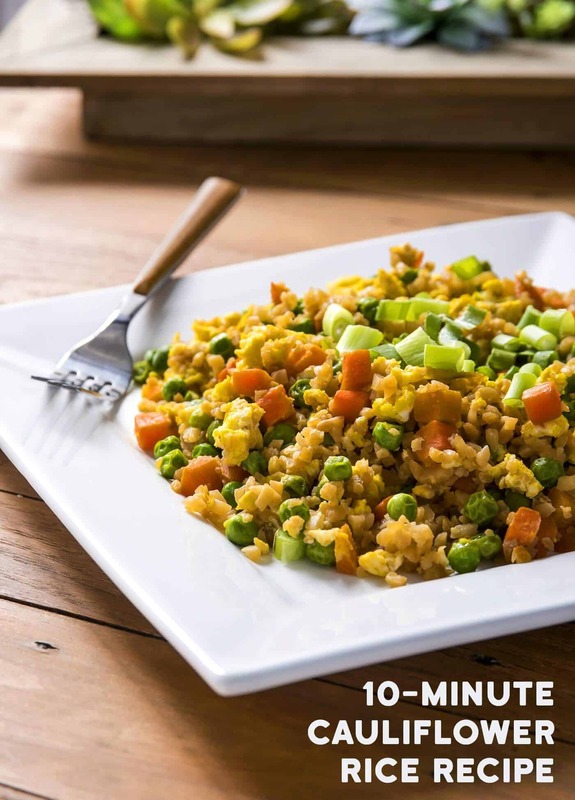 Try this cauliflower fried rice - loaded with veggies and flavor. No one will believe this isn't real rice! 1. Serve – add green onions as garnish if you like! 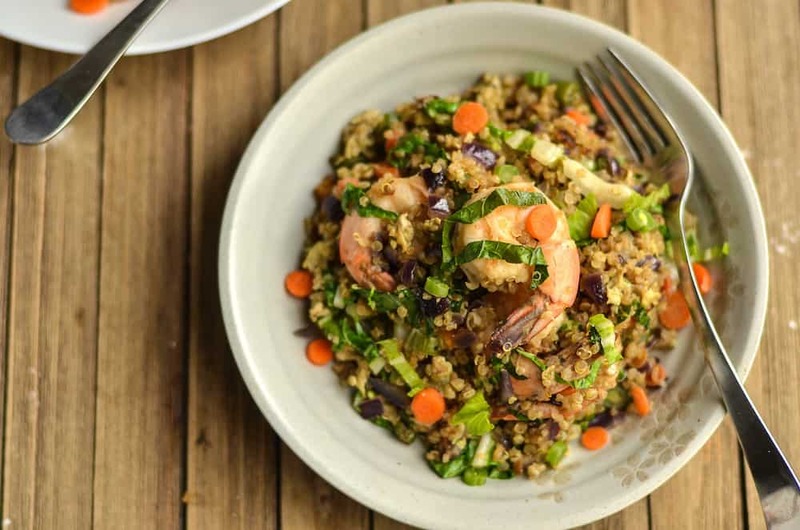 And if you liked this dish, you might also like this shrimp quinoa fried rice recipe. Check it out by clicking the image below.